A lot of players had big games against the Titans in 2009 so I thought I’d select an All-Opponent team. These are not necessarily the best players but they are the players who had the best games, in my opinion, against the Titans in the 2009 season. 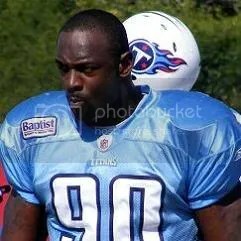 Of all the Titans whose contracts are expiring, Jevon Kearse is the one most certain not to return for another season in two-tone blue. He’s just finished the worst season of his 11-year NFL career, has to recuperate from knee surgery and will be 34 years old when the season starts in September. 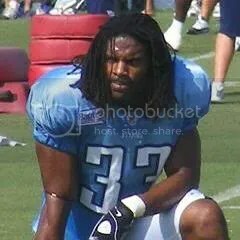 Who was worse, Michael Griffin or Lamont Thompson? Michael Griffin was terrible in 2009. Photo by Andrew Strickert for Total Titans. The 2000-2009 decade was certainly a topsy-turvy one for Titans’ free safeties. It started out great with Marcus Robertson, declined with Perry Phenix, was OK with Lance Schulters and was terrible with Lamont Thompson. Defensive End: The Tennessee Titans’ biggest draft need? Depending on the outcome of a coin flip, the Tennessee Titans will be on the clock with the 16th or 17th pick in April’s 2010 NFL Draft. Later today, former Titan/current Baltimore Raven Chris Carr will serve as his new team’s returner and starting cornerback as they face off against Peyton Manning and the Colts. Meanwhile, back in Nashville, the hurt that stems from the offseason loss of “Mr. Indispensable” still lingers. 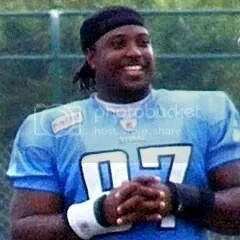 You are currently browsing the Total Titans blog archives for January, 2010.